Okay, I know the world name's not clever - nor was it intended to be. I was in full-on retro-mode when I created this a couple of years back, so I make no excuses for place names, no matter how cliched they may be. I like your map. What program did you use to create it? Glad you like it. 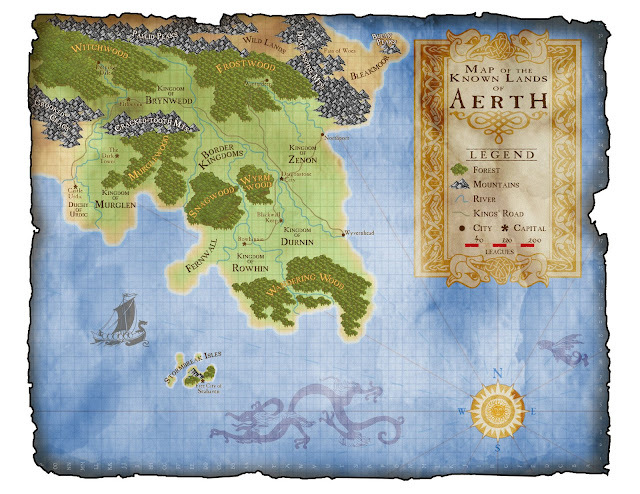 :) The map was created in Adobe Photoshop.